China’s growing enforcement of its expansive claims poses a direct threat to the national security of Indonesia. With this tension between neutrality and self-interest becoming more pronounced in recent years, analysts such as [Ristian Atriandi] Supriyanto have begun to question whether this new dynamic may lead Indonesia to begin to ‘balance’ against China in the years ahead, along with its other neighbours. 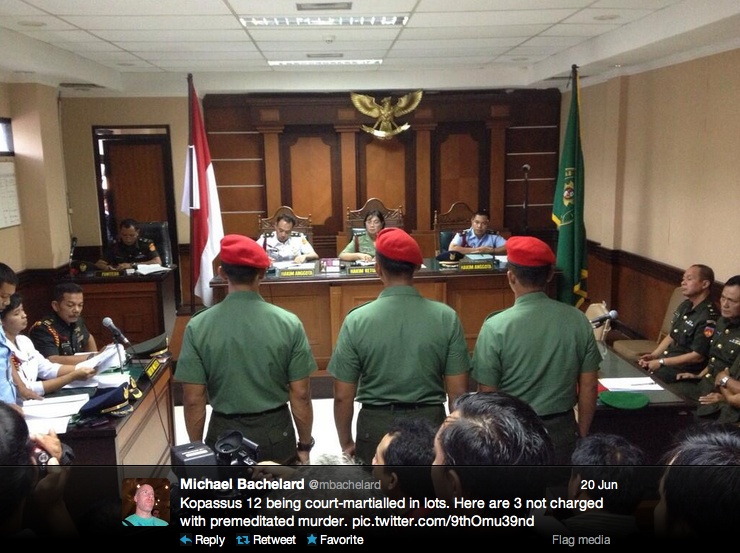 Indeed, there may be elements of such behaviour already becoming evident in Indonesia’s broader security strategy. According to The Australian, ‘Indonesia has experienced a more than 50 per cent surge in pirate attacks in the first half of 2013’ mostly around the Riau province. A new-ish RSIS report on TNI’s counter-terrorism task force by Jennifer Yang Hui. Former Kopassus commander and presidential hopeful, Prabowo Subianto, makes a last effort to woo voters with promises of cash. Sigh. We’ll see what happens come April next year. It seems like the Indonesian police and military are brawling at night clubs (again, sigh). Perhaps they should drop their status before stepping into the club, suggests a member of the National Police Commission. A new report on human rights links Australian Iroquois helicopters to the alleged indiscriminate shooting of Papuans by the Indonesian military in the late 1970s. DFAT and Defence are reportedly looking into the matter. 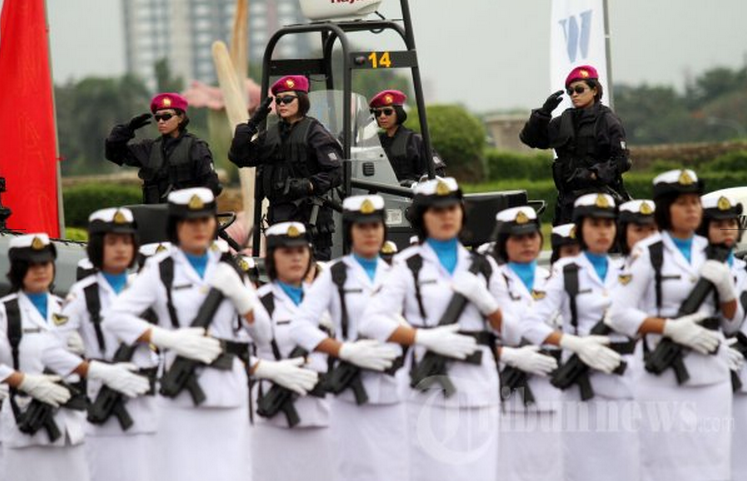 Lastly, the female members of TNI and POLRI come out in force on Kartini Day. I couldn’t resist adding this boss picture (above) from this year’s parade in April. 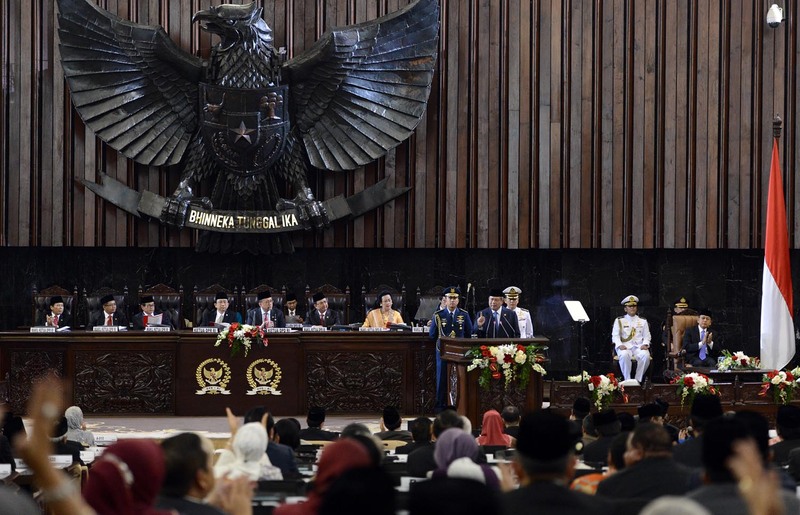 On 21 August, the Indonesian House of Representatives endorsed the candidacy of General Moeldoko, Indonesia’s Army Chief, moving him a step closer to becoming commander TNI. 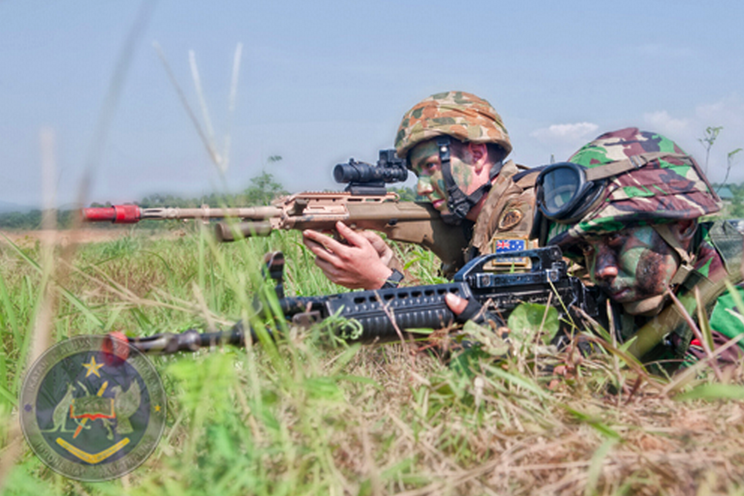 With defence ties a key pillar of the Australia–Indonesia bilateral relationship, it’s worth knowing more about the Indonesia’s future military leader (known as ‘Panglima TNI’) and what this means for Australia. Moeldoko finished top of his class and is generally considered to be a high-performing officer. If his first public statements can be taken to encapsulate his approach to the military, then expect an emphasis on military professionalism and soldier welfare. Moeldoko has promised to improve soldiers’ welfare by increasing their pay by 15%. 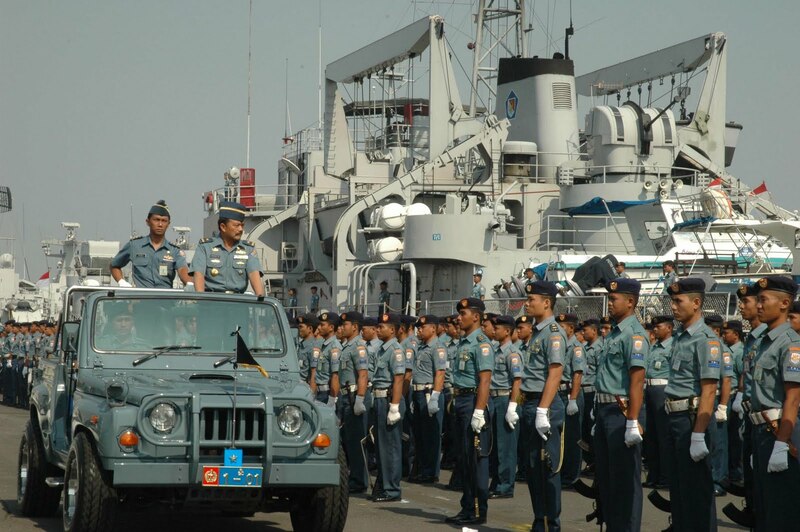 He also intends to improve soldier discipline, minimise the import of foreign military equipment in order to support Indonesia’s defence industry and remain neutral during the upcoming 2014 elections. Long live Indonesia, indeed! President SBY’s ambitions in this year’s national day address (delivered on 16 August ahead of Indonesia’s Independence day on 17 August) included continuing economic development, expanding Indonesia’s role as a global diplomatic actor, maintaining religious harmony and stability, and protecting the sovereignty of the Indonesian state. SBY hopes that all parties would work actively to prevent political activities [concerning Papua] that could lead to disruptions in Indonesia’s relations with friendly states. I’m not talking about the hit Indonesian martial arts film about a crack police team raiding an abandoned building and fighting gangsters. I’m talking about the commencement last Thursday of the trial for 12 Kopassus soldiers who are accused of raiding Yogyakarta’s Sleman prison in March and killing four detainees. The Kopassus soldiers are alleged to have carried out the shootings in revenge for the fatal stabbing of a Kopassus sergeant in a Yogya nightclub after a dispute with the detainees, who turned out to be gang members. When the case hit the media, there were varying levels of public denial from military leadership about Kopassus involvement. 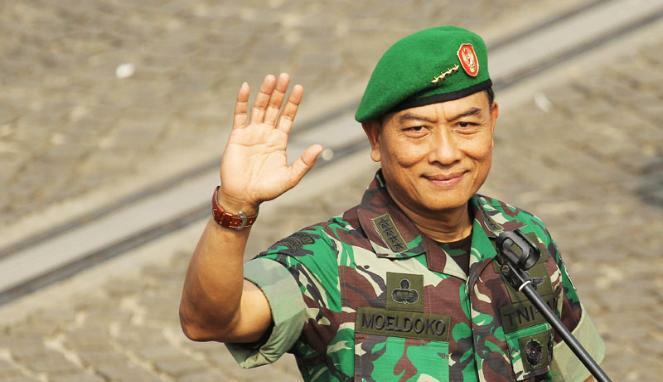 Some, like former intelligence chief (and former Kopassus member) Hendro Priyono who attended the trial on Thursday, had defended the special forces soldiers by pointing to the initial stabbing as a ‘human rights violation’. The trial and mixed messages of senior leadership (both currently serving and retired) make it a current case of the continuing challenges of TNI reform. Also of note is the extent to which they shape public perception of the extra-judicial killings.